IT’S BEEN ABOUT 25 YEARS SINCE TORA TORA’S THIRD FULL-LENGTH ALBUM ‘REVOLUTION DAY‘ (WHICH EVENTUALLY SAW THE LIGHT OF DAY IN 2011) WAS SHELVED BY THE BAND’S RECORD LABEL AT THE TIME. 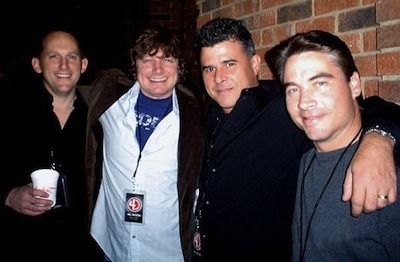 TORA TORA CONSISTING OF SINGER ANTHONY CORDER, GUITARIST KEITH DOUGLAS, BASSIST PATRICK FRANCIS AND DRUMMER JOHN PATTERSON DISBANDED SHORTLY THEREAFTER. 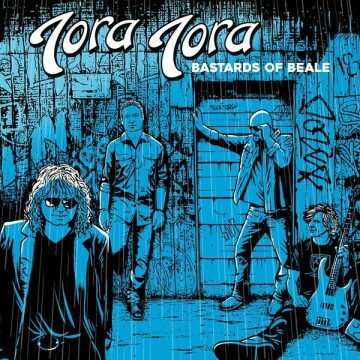 THE BAND REUNITED IN 2008 PLAYING SELECT SHOWS AND A DECADE LATER, TORA TORA ARE ABOUT TO RELEASE A BRAND NEW STUDIO ALBUM TITLED ‘BASTARDS OF BEALE’ VIA FRONTIERS MUSIC SRL ON FEBRUARY 22, 2019. SLEAZE ROXX CAUGHT UP WITH KEITH DOUGLAS TO TALK ABOUT THE NEW RECORD ALONG WITH WHAT IT WAS LIKE ‘BACK IN THE DAY’ AND MUCH MORE! 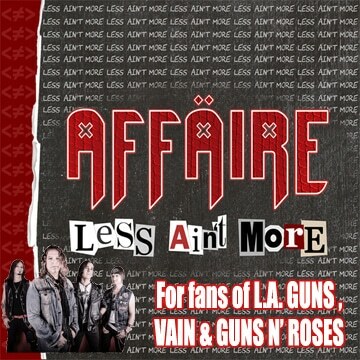 Sleaze Roxx: The first thing that I am wondering is what’s the meaning behind the new album title ‘Bastards of Beale’? Keith Douglas: ‘Bastards of Beale’ is referring to Beale Street. I am not sure if you’re familiar with that. It’s where all the old blues clubs are at [in Memphis, Tennessee, USA]. It’s where all the guys from the Pacific Delta used to come up. It’s where all the blues playing, the debauchery, bars and all that kind of stuff. It’s also when we were young where we cut our teeth playing gigs there at the clubs. We were always kind of the outcasts, just kind of the loud rock n’ rollers on the street so we just figured that was a fitting title. Sleaze Roxx: Cool! And you also have the easy acronym ‘Bob’ as well, right? 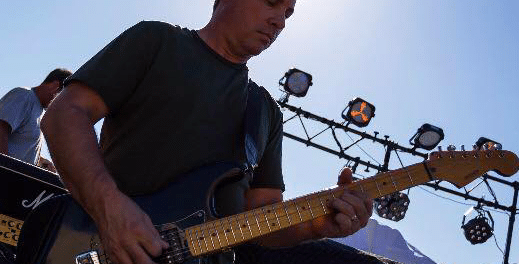 Keith Douglas: Oh yeah! Absolutely! That came in handy. Sleaze Roxx: [Laughs] How long has the new album been in the making? Keith Douglas: We actually started writing in the fall of 2017 and we got into the studio over the summer in July and August  to record it. Not a ton of time in the works. We wrote fast but we had a lot of good material coming out and kept building on it. 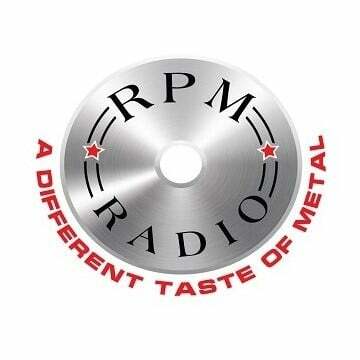 Sleaze Roxx: A lot of bands who are older like Tora Tora sometimes go back to older material never recorded. Did you guys do that? Keith Douglas: We really didn’t. We had hooked up with FnA Records out of Nashville [Tennessee, USA] and at one point, those releases of his, that’s pretty much every outtake we ever had, every piece we ever had. This was a totally fresh new round on everything. We didn’t even use a section of an old song. 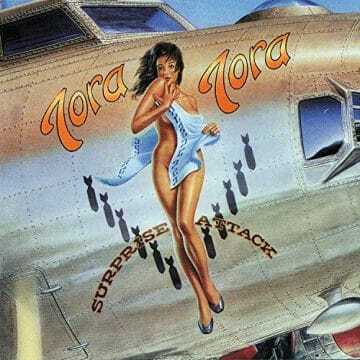 Sleaze Roxx: One thing about Tora Tora is that you’ve always had sort of a certain sound and even your new album, it doesn’t feel like you’ve started that far. Would you agree? Keith Douglas: Yeah! I think so. For whatever reason, it’s just a certain sound with the four of us. Swap out one player and it just doesn’t sound the same even if it’s the same equipment. I don’t really know why but you know, we just do what we do. We plug in and play what we like. Hopefully, that comes across and people dig it ’cause we do. We just feel it’s straight up rock n’ roll. Sleaze Roxx: What are your favourite tracks off ‘Bastards of Beale’? Keith Douglas: Ummm. Gosh, I have a lot of favourite tracks on there. One is “Silence The Sirens” which is our current single that is out right now. Just because it’s a little different for us. It’s kind of got a different vibe. Gosh, we got a lot of great songs. There’s a song called “Son of a Prodigal Son” which is going to be the single that’s released along with the album release and we shot a video for that song a couple of weeks ago. It’s going to be really, really cool. 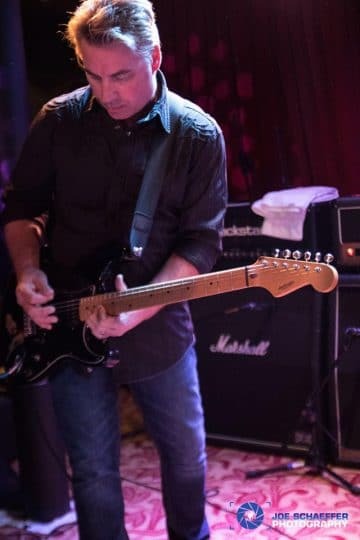 Subscribe here for more videos – http://radi.al/SubscribeFrontiers | From the album BASTARDS OF BEALE. Get your copy NOW: http://radi.al/bastardsofbeale Follow the “Newest From Frontiers” playlist on Spotify to keep up with all the new songs we release each week: http://spoti.fi/1rQz5Zm In 2017, Memphis rockers Tora Tora were approached by Frontiers Music Srl about recording a proper new studio album and they enthusiastically jumped at the opportunity. 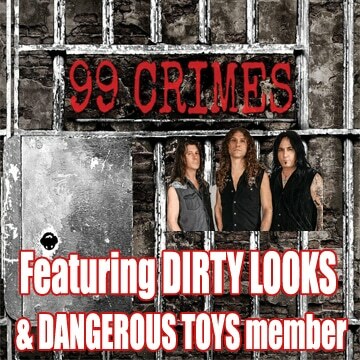 Sleaze Roxx: I can’t wait to see it. In terms of new material versus old material for the setlist, how is that going to work out? Keith Douglas: People want to hear what they’ve been listening to. Especially in our case where the songs — if they’re fans of Tora Tora, they’ve been listening to the same songs for 20 plus years, 25 years. They want to hear what they know also but we throw in some new ones and just keep it rocking and moving. You know, we’ve got a really, really good response so far playing live with the new material so that’s cool. Sleaze Roxx: So you guys are sort of an anomaly in terms of bands because you still have the four original guys in the band, which is really cool. Sleaze Roxx: Was there ever a point when one of you was thinking of leaving the band or were you always so tight knit the whole time? stuff with those guys. You kind of just fall right back in there with them so I mean, we took a little break from each other. Once we saw that there was actually a market for bands from that era again, it’s just a lot of fun for us. Everybody still has their own careers. Everybody has kids all over the place. I’ve got two. All the other guys have three. Everybody is just so busy now that it’s just a fun road trip. We’re not hopping out on tour or driving in a van or anything. We’re kind of picking and choosing the places we play. It’s been a lot of fun. We’ve got great responses. Sleaze Roxx: So when you decided that you were the first one to really take a little break, was there any discussion of the other guys continuing Tora Tora without you? Keith Douglas: Ummm. You know, I don’t think so. There was never a time when I suggested they didn’t. They might have actually done a show under the name once or twice there but no, not really because just like I said, for whatever reason, when you start swamping people around, it lost its whole sound and vibe. Still, even to this day, if one of the guys bailed out, we’d probably just do something else. I don’t think that we’d try to continue anymore either. Sleaze Roxx: Sort of like Led Zeppelin, right? Keith Douglas: Yeah. I guess so. We’re just kind of — As far as me — John and Patrick — I’ve known those guys most of my life. I mean, I don’t have a lot of experience playing with other people. It would be very odd for me. Sleaze Roxx: Has there been any discussion about re-releasing ‘Surprise Attack’ and ‘Wild America’ as remastered versions or something like that? Keith Douglas: We actually talked about re-releasing ‘Wild America’ because it’s technically out of print. But it’s just recently — as in the last three or four months — we finally got it out of jail to get it on streaming. It’s been buried in Universal Music’s vault for you know, forever. At least, we got that going on but really, right now, we’ve just been focusing on new stuff. We played a great show here in Memphis towards the end of December and we came out with a ton of really great live tracks. So we’re thinking about releasing something live. We just haven’t really got that far. Sleaze Roxx: Cool! That was going to be my next question but there you go. I noticed a while back that you released an alternate video for “Guilty.” How did you guys end up having two videos for that song? Keith Douglas: Well, that one was actually the first video that we shot for that song. We went out somewhere outside of Tucson [Arizona, USA], this airplane graveyard. It was super cool. I don’t know. We liked the video. It was just one of those weird political… You know between the record label and MTV, they didn’t like it. Who knows? Back then, those companies and the budget, they just spent money like crazy. They kind of just threw that one in the garage and we made another one. Sleaze Roxx: That’s crazy [laughs]. 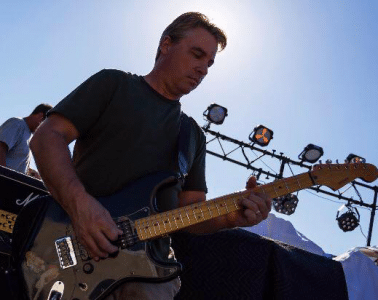 Keith Douglas: I am sure that it was tacked on to our bill of course but we were like, “Whatever.” We always thought that was the coolest version, the one that never came out. I don’t know. We just kind of came across it. Sleaze Roxx: For a lot of bands, they had to repay the label and things like that. For Tora Tora, you only had a couple of albums. Did you end up in the red? How did that work out? Keith Douglas: I don’t know that we ever recouped. We spent so much money back then. When we were on A&M [Records], not only stuff like $75,000 or $80,000 videos, just ditch them and do them again, but even some of those recordings were ridiculous. I mean, hundreds of thousands of dollars, especially for what we just made a record for now. It’s a whole different world. Completely. 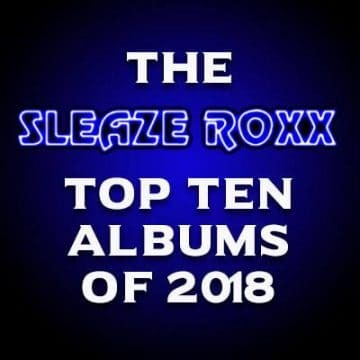 Sleaze Roxx: Speaking of that, what do you think of this whole new musical landscape, which is a lot more of a “do it yourself” type of thing? What are your thoughts on that? Keith Douglas: I think it’s super cool. Had the technology been around…. It’s just catching up I think. The one part for me, I feel bad for some of the studios. Back in the ’70s, ’80s, early ’90s, they were doing great and those record budgets were huge. It’s tough now because a lot of studios here in town [Memphis, Tennessee, USA] that we worked at are struggling. It’s sad in a way but I totally get it. It’s a whole different landscape now. It’s all social media. Promotion is totally different. It’s really kind of over my head. Keith Douglas: It’s completely 100% different situation than it was in 1989. Anthony, he actually teaches in the music business, and we talk for hours about it. It’s kind of crazy. Sleaze Roxx: Did you ever think after you guys disbanded after recording ‘Revolution Day’ that you’d ever get back together to record another album together? Keith Douglas: But after that, we just kind of kicked into record mode and we did our thing like we do. We feel super blessed. It’s a really cool opportunity for us to still be able to crank out and have a good time doing it. Sleaze Roxx: If someone asked you to compare the new Tora Tora album to the previous ones, what would you say? Keith Douglas: Ummm. How to describe the music? Sleaze Roxx: Compared to the older stuff. Keith Douglas: I think it’s a lot more true to what we really are. The first record was all over the place just because we were basically kids and we did whatever they told us that we should be doing. I mean, the songs and everything was ours but the production and stuff, there’s some stuff that’s really out there. But this record, it’s such a better snapshot of what we really are as a four piece. There’s nothing on this record. There’s no organ. There’s not even extra percussion. There’s nothing. We basically plugged in and pressed record and went for it. I think it’s a much truer picture of what we really are. I think it really came across. I think there’s a real energy that our producer Jeff Powell, who we worked with years and years ago, [captured] so it was like a family reunion. I think that’s the main thing. We come across as a three piece with a great singer. Sleaze Roxx: You mentioned that a couple of things on the first album were a little “out there.” What do you mean by that? Keith Douglas: There were just some production things on there. Kind of more machine sounding keyboards. You know, we were slaves to the click track back then. They just did a lot of — it was just over produced. That’s what I mean by that. But for the time and for 1989, it might have been underproduced. Sleaze Roxx: I wouldn’t say that it was one of the overproduced albums of that era compared to some of the others, right? Sleaze Roxx: What are your best memories when you guys first started and around ‘Wild America’? What would you say are some of your best memories? 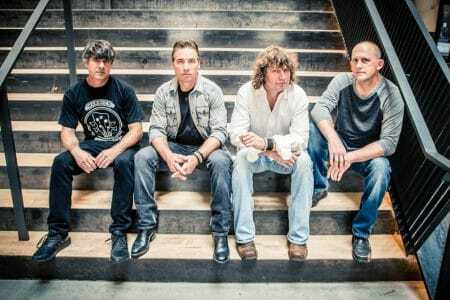 Keith Douglas: I think by the time that we got to ‘Wild America’, we just got on a run where we were headlining clubs. It seems that we were criss-crossing the country how many times… We kind of hit our peak seasoned — just doing it night after night, we just got to be the best that we had ever been. I just remember having some really great shows. I enjoyed those smaller shows. I would rather play a smaller show that’s completely packed with a great vibe. That’s what I remember most about that era. We just played full out like that all over the country. What’s been really cool is going back now hitting some of these markets that we haven’t played in 25 years and it’s still there. It’s really cool!